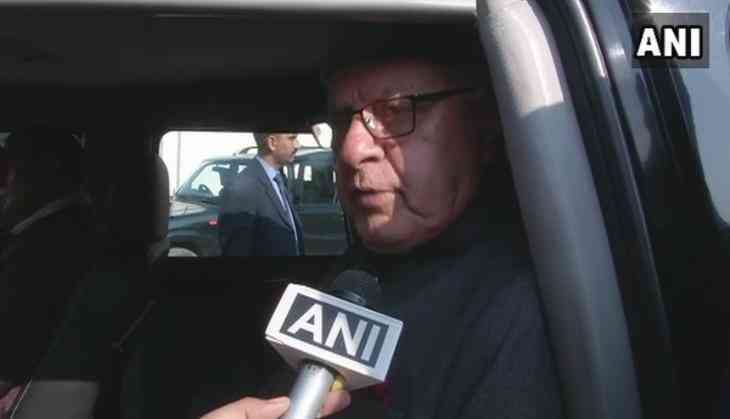 National Conference (NC) chief Farooq Abdullah on 4 December welcomed the prospects of Congress Vice-President Rahul Gandhi's elevation to party's presidential post, and said the younger generation's headway within the party was a good sign for the country. "This is a good sign for our country that the young brigade is stepping forward. I hope he (Rahul Gandhi) takes India to such heights where everyone is able to live with dignity, and maintains the secular image of this country," Abdullah told ANI. Expressing confidence in Gandhi's leadership, Abdullah said that the Congress' strength will revive sooner or later, and consequently so will the strength of the nation. On the possibility of the post of Prime Minister coming in for Rahul Gandhi in the future, Abdullah said, "The post of Prime Minister is a distant future for him, but right now he is emerging in a very big way as a national leader. As for (post of) Prime Minister, that is for the public to decide, and time will come for that." The NC chief further added that the Gandhi scion, at present, has his work cut out for him- to work hard to unite India and bring everyone together. Meanwhile, All India Majlis-e-Ittehadul Muslimeen (AIMIM) chief Asaduddin Owaisi refused to comment on Rahul's nomination as party chief, citing it was an internal matter of the Congress party. "It is an internal matter of the Congress party and I'm not privy to it. They are independent to decide what is good and bad," Owaisi said, adding that he wishes a healthy and long life for the outgoing President Sonia Gandhi. Earlier in the day, Rahul filed his nomination for the post of Congress President at the All India Congress Committee (AICC) headquarters in Delhi. The post is currently held by his mother Sonia Gandhi, who has been at the helm since 1998. With the holidays upon us, is it time to end tipping? READ NEXT >> With the holidays upon us, is it time to end tipping?